Located in the Bella Vista- Southwark neighborhood of Philadelphia, PA, just minutes outside of the City Center, is Ronald R. Piselli Funeral Home. 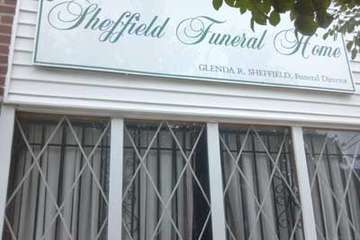 This cremation and funeral business is easily accessible from the surrounding regions, thanks to its close proximity to Interstates 76 and 676. Several cemeteries are situated within a 10-mile radius, with Mount Moriah being the closest at just 4 1/2 miles away. Ronald R. Piselli Funeral Home was incorporated in the year 1975 and is housed in a historic row house in the downtown area of Philadelphia. Its tan 3-story building offers a residential-like feel and there is parking along the street for friends and family members of the deceased. Since its founding, this funeral home has been overseen and directed by Ronald R. Piselli. He remains in charge of the daily operations. Families seeking direct cremation, cremation or funeral services complete with burials have plenty of options at Ronald R. Piselli Funeral Home. Transfer of remains is available, if necessary, and the company employs hearses for transport to the cemetery of the family's choice. The prices below are based on the General Price List for Ronald R. Piselli Funeral Home. However, funeral homes sometimes have special pricing packages available, and you should ask if those are available. Please let the funeral director know that you found Ronald R. Piselli Funeral Home on Parting.com to allow us to continue helping families like yours. The funeral directors at Ronald R. Piselli Funeral Home are available to provide you with expert advice.